Ensure ample demand from mission-fit students, appropriate revenue balance, and increased inclusivity and accessibility by using best practices in strategic enrollment management. 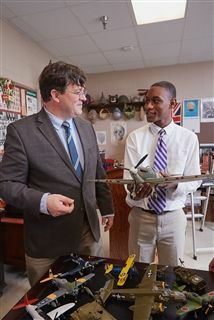 • Explore new pathways to create access for those desiring an education at Father Ryan High School. • Develop and execute specific short- and long-term plans for effectively communicating with our community. • Clearly define our value proposition for all prospective students and families.